The first quarterly loss in the firm’s 38 years as a publicly traded company ($343.8 million). Its first full-year loss ($186 million) in Japan in 11 years. A 58 cent per share drop on the back of a global comparable sales drop of 3.3%. McPinkslime’s might have “beat expectations” for sales and profits, but beating diminished expectations is hardly a sign of booming business. Just look at the nuts and bolts of the Q3 2016 earnings report: Year-on-year revenue is down 2.9% and net income is down 2.6%. And keep in mind, those numbers are in comparison to the already-terrible 2015 figures. And that “re-franchising” operation? It cost $130 million in pre-tax charges. But don’t worry, everyone, they “beat expectations!” Pay no attention to the hemorrhaging corporation behind the curtain! The story is fascinating enough in its own right, what with McDonteats throwing in the corporate towel on the largest and fastest-growing consumer market in the world. But the devil is, as always, in the details. Who is purchasing the majority stake in the company’s mainland operations? None other than The Carlyle Group and CITIC Group. The Carlyle Group’s name will likely ring a bell as one of the largest swamp pits “private equity firms” in the world, and one with its fingers in many a pie, including, of course, 9/11. CITIC Group, meanwhile, will be familiar to The Corbett Report faithful as a key player in “China and the New World Order,” a Chinese state-owned investment company that helped serve as the Rockefeller-Kissinger nexus between the Deng Xiaoping-era “capitalist roaders” and their western finance oligarch recolonizers. That these two cesspools are converging on the giant turd of American fast food is fitting enough. The McDonaldization of China is proceeding apace, and the usual crew are there to profit from it. But as to what this story says about the continuing decline of the once-mighty golden arches, there are two main takeaways to the story, one depressing and one positive. On the depressing front, there is a simple reason for the across-the-board slowdown in fast food sales in recent years (despite the predictable attempts to overcomplicate the problem in clickbait-y listicle format). For once, the Wall Street Journal gets it right: It’s the economy, stupid. What greater rebuke to the easily-disprovable economic “recovery” nonsense of the Obama years could be possible than pointing out the simple fact that people are too worried about their economic future to splurge on a $5 value meal? But on a positive note, we can take McFatfood’s woes as a sign that, try as they might with their considerable propaganda resources, the corporate chieftains can’t put their egg McMuffin back together again. People are fed up with fast food. And although some, concerned with cost, are turning to eating at home as the cheaper option, others are more concerned with what’s in their food, where it’s sourced from, how it’s being prepared and who is being paid for it. Who wants instant, nutritionless, food-like substitute rolled up in plastic and slapped down on a tray by surly, overworked servers (or, increasingly, robots) anyway? For those interested in how they can take part in the real food revolution that will render the McFastfood economy obsolete, may I humbly offer this podcast on guerrilla gardening? Bon appétit! Good riddance. A little anti mortem embalming fer yer kids, how charming. To be clear, while the decline in McDonald’s is welcomed, I do not believe the cause is as welcomed, at least not to me. Thanks James, I love a good clown bashing. For a bailout, maybe McDonalds can work a deal with the government and open a lane for Obamacare sign-up. Great article James. Keep up the good work. You should write an analysis of the Obama administration’s witch hunt to blame the Russians for “hacking our election” even though the reports the CIA released to the public don’t contain any evidence that Russia had anything to do with the DNC leaks (Which exposed that Bernie got cheated out of the presidency.) With Warhawk McCain saying that he considers this an “act of war,” this could get ugly as Obama leaves office. The last thing this country needs is any sort of conflict with Russia. RUSSIA and the ‘NEW’ NEOCONS influence. 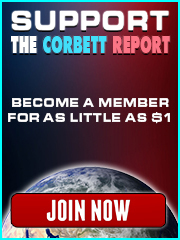 Corbett talks about Russia being demonized in Interview 1241 with “The Neo-neocons and Cold war 2.0”. Some links on the New Neocons regarding Russia here with Robbie Martin. In all of my life, I ate once in McCraphole. They did have some decent shakes and ice cream, however ice cream was overprices, to put it mildly. Could I care less if they went under? I think not. For too long too many have focused on what goes between the buns ( not that i am saying it is good ) and totally ignoring the endocrine disrupting Brominated Vegetable Oil, and other chemicals, that then have sugar/sweetener added to hide the chemical tasting bun. In my book that is the real danger of the golden arches – confession – i did go in there once or twice while in Japan as it was the quickest place i could find for a cup of halfway reasonable coffee! Yes, McD’s is certainly ready for a well deserved death, but at this rate of decline, I’ll probably die before the funeral. KFC is right down the street from McD’s here (somewhere) in Central America and would like to see them both out-a-here. 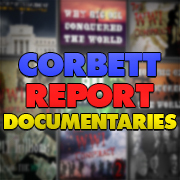 Corbett’s Xmas video about Japan and Kentucky Fried Chicken demand during Xmas was interesting. I pondered how chickens were raised in Japan. MarketWatch on Jan 6 had an article: “Why chickens are twice as big today as they were 60 years ago”. Most chicken feed contains deliberately added arsenic. Arsenic tends to accelerate growth in chickens. These chicken factory farms produce tremendous amounts of chicken poop. Chicken poop is very high in Nitrogen. Because of the high Nitrogen content, chicken poop is sold for cattle feed (Proteins commonly contain nitrogen). An alternative MD friend of mine who does “hair analysis tests for heavy metals” once took me to her desk and showed me someone’s graph (covering up the patient’s name). The graph showed extremely high levels of arsenic. The MD told me that many of her patients have these very high levels, and that a common factor often was that the patient ate a lot of chicken. Disclaimer: I am not “sinless”. In 1975-76, I was the manager of a busy KFC. Just wait until they mix in some whale genes in there. I took my child to one of Japan’s top children’s hospital’s recently and was greeted at the entrance by a gregarious-looking statue of “Ronzie” holding a placard explaining the virtues of Ronald McDonald House. After my initial gagging I pondered to what extent this would repulse folks from Mikey Dee as opposed to attract them. Even my child immediately picked up on the absurdity – no ranting needed. I have been working in food and hospitality in many different forms since I was 15. I am almost 32 and have seen many changes. I am even “college educated” in culinary arts and food science. I tell you this, the crap that is put into food these days is criminal and immoral. The way food workers are treated is one step above serfdom, which modern day farm workers basically are. Every food business I have worked in , including my own bakery which I opened, owned, and operated daily for four years externalizes cost. McMudButt’s and others like them pass the cost to the environment, their labor force, tax payers(most employees on food stamps), and the long term health cost to customers. Good food operations usually externalize cost to “volunteers” or over zealous employees. True believers will sacrifice their own well being to get good food into peoples hands. I did for four years and had to shut down because of a %40 rent increase. I was also totally burnt out. I am working on new models that try to balance good honest food with a decent standard of living for the workers(and me the owner) but that is easier said than done. Here in Oregon people go out to self medicate, then food is an afterthought. The only way to make any money selling food is to sell alcohol and coffee at a really high mark up. Few want to pay $6 for a loaf of hand made all local organic fresh milled flour sour dough, but will happily pay that much for a pint of IPA they drink in 3 minutes. Because the booze and hops help them forget and fall asleep. The general public wants good food but are too busy, ill informed, just plain ill, or utterly lacking confidence in cooking for themselves. If you want to see the food system improve then help those who are making sacrifices to bring that food to you. They rarely charge enough to be economically sustainable in the long run. Tell them what they do is worth it by paying the premium price they deserve. If they won’t charge more than tip them if you can afford it. Now I have to go clean a foot of snow of my truck so I can go make margaritas and sell tacos all day, which is much more lucrative than selling local organic handmade bread! Don’t worry about McDysgenics, they are going to die from corruption and a lack of healthy customers. Also their food no longer taste like food, which almost anyone can notice unless they have never tasted different. Tonight as I eat a wonderful home made meal I will toast to McDisease’s decline and ponder new ways to bring delicious food to the other people in my community. Sorry for the long rant, this topic has been my passion almost my whole life. I wish I could have you all over for dinner to discuss it. In subjective theory of value, which has a steeper diminishing marginal utility – a loaf of organic bread or an IPA? That is a very good point. Most people want a few slices of bread, and about 3 or 4 beers. I can certainly self medicate faster than I can eat. I guess that is why the state taxes booze, cigarettes, and weed. People will always pay them. Unless you grow/brew your own, which I recommend. Thanks for the perspective tgmolitor, you just taught me a new term I was unfamiliar with. I think I will stick to these ideas I am working on about selling coffee and booze first, food second. At least I will be able to buy wine wholesale! I wish I knew of an ethical Hedge Fund or Brokerage Options service or an Open Source financial type of endeavor which goes after these unethical companies. While I am not rich, I would love to participate. It is a nice form of activism…the possibility of personal financial gain when corrupt corporations get nailed in the marketplace. Currently, I would love to short some of the MMR vaccine makers. I remember when they first started serving chicken nuggets. I’d heard about them, and they sounded good. Pieces of white meat chicken, breaded and fried. So, I went and ordered like an 8 nugget box and sat down to eat. I slathered a nugget in ketchup and took a bite. That’s when the reality of what a fuzed chicken part became painfully evident to me. I didn’t finish that first nugget and recall tossing the box on my way out. That was before I really learned what purchasing the cheapest possible items really meant. Once I learned, I haven’t eaten at McDonalds since. 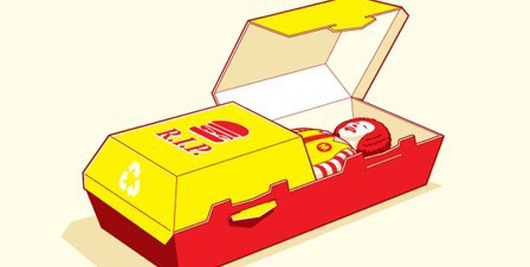 So, the fact that people seem to be waking up to the reality of fast food , although decidedly past time, is heartening.